Cold weather has come early to Mallorca this year, and our finca‘s Jotul woodburning stove has been in service for at least a week already. One of our favourite lunch dishes at this time of year is a baked potato cooked inside the stove, resting on firebricks alongside the burning logs. After washing and drying the skin of the potatoes, I rub them with olive oil, sprinkle them with sea salt and wrap them in a double layer of foil, before leaving them to cook for about an hour. Deliciously warming and satisfying, whether served with some kind of topping or simply dressed with butter or olive oil and seasoning. Today, we added a touch of Mallorcan magic to our jacket potatoes, in the form of Flor de Sal d’Es Trenc Boletus. This is the newest addition to the flavoured salts under the Flor de Sal d’Es Trenc* brand; so new that it was only launched to the press on Friday, at an event I attended in the Private Wing of the stylish boutique Puro Hotel in Palma. 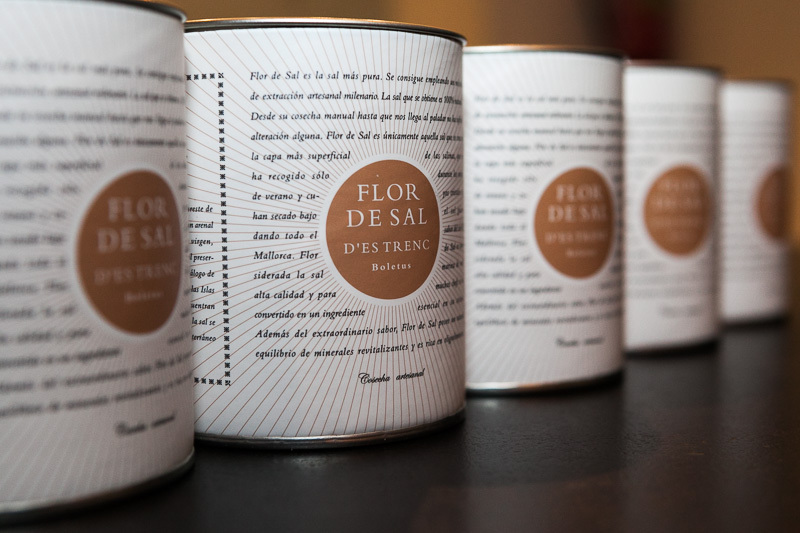 The recipe for the latest salt in Flor de Sal d’Es Trenc’s range blends hand-harvested salt ‘flowers’ from the Salinas of es Trenc with Trompeta Negra, Seta Calabaza and Shitake mushrooms. This is, after all, the season for fungus. 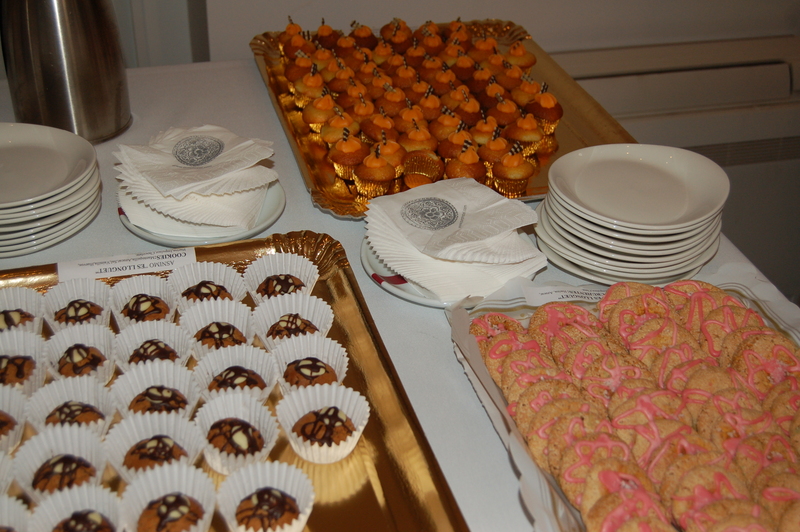 The recipe was created in collaboration with renowned local chef Tomeu Caldentey. In 2004 Tomeu became the first Mallorcan on the island to have his cuisine recognized with a Michelin star (at Es Molí d’en Bou restaurant, now renamed Bou); the star has been awarded every year since. At the press launch, Tomeu said the new flavour salt works well with pasta, rice, white fish, and meat dishes. But there’s something particularly special about the new Boletus variety: for each pot of it sold over the next two years, Gusto Mundial Balearides SL – the company behind Flor de Sal d’Es Trenc – will donate 50 cents to the Mallorca-based Asociación ASNIMO (the Down Syndrome Association of the Balearics). This was Spain’s first association specializing in Down Syndrome, when it launched in 1976. Many of ASNIMO’S services – which include a special education centre, occupational centres, day centres etc – receive public funds, but other projects, such as their Programa de Vida Independiente (independent living programme) receive only private funding. If you’re looking for something different to put into the Christmas stocking of a gourmet or keen cook, a pot of Flor de Sal d’Es Trenc Boletus is sure to please – and you’ll be helping an excellent cause. And I can vouch for the fact that the new flavoured salt works a treat with jacket potatoes . . .
*Read more about Flor de Sal d’Es Trenc here. Find out more about the work of ASNIMO here. Read about Tomeu Caldentey and his restaurant Bou here. Next PostMallorca’s emblematic pastry – not for vegetarians!